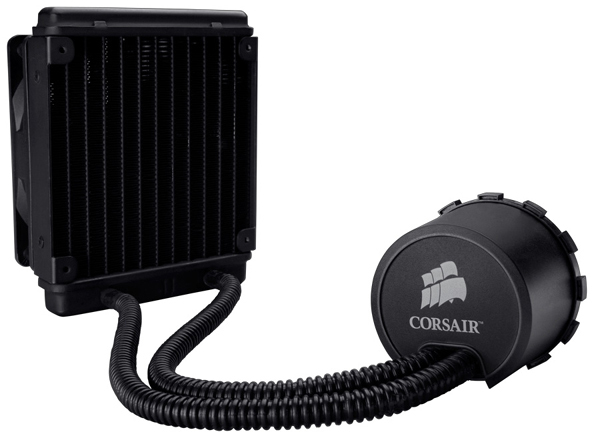 The Corsair Cooling Hydro Series H50 CPU Cooler gives you the power of liquid cooling in a compact, easy-to-install package. You get superior cooling for higher overclocking performance without the complexity of traditional liquid-cooling systems. Air-based CPU coolers simply aren’t as efficient as water coolers, and can take up too much valuable space. The compact, closed-loop Hydro Series H50 takes your CPU’s temperature to new lows and takes up less room doing it. 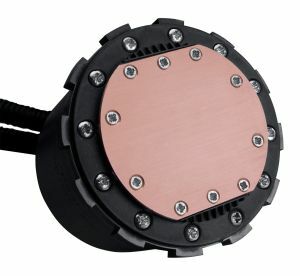 Includes mounting brackets for Intel LGA775 and LGA1366 socket motherboards. Brackets for AMD socket AM2 and AM3 motherboards are available for a nominal shipping and handling charge by contacting Corsair Technical Support.